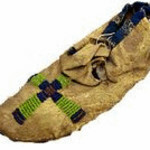 "Moccasin Telegraph" refers to the native american runners who would relay messages between neighboring nations.This group is designed to open up dialogues between American Indian nations and those interested in learning about traditional native people. Our hope for this group is to break down the walls of stereotypes that have built up around American Indians, and to foster warm relationships between our different nations. We want everyone to share their histories and traditions. To prevent misunderstandings and the spread of misinformation, we ask you to only state the traditions of your own nation or nations. We welcome questions about other members' traditions, culture, and laws! We strongly believe that spiritual matters should not be discussed in detail in this forum. This includes ceremonies important to your nation, and in some cases ceremonial names. Be aware that many nations use those names ONLY within a ceremonial setting, and don't share them in the outside world. Therefore please be mindful of these things and thus please do not be offended if others refuse to share their ceremonial names and matters. For those who have joined this group to learn about native cultures, we welcome you as well. Come learn with us. Let's discuss our cultures with open minds and hearts! Please remember to post in at least a 14 pt font, as some of us are vision-challenged. Thanks. 9 years ago (14 replies) | Hot! 9 years ago (77 replies) | Hot! 11 years ago (102 replies) | Hot! 11 years ago (8 replies) | Hot! 11 years ago (45 replies) | Hot!